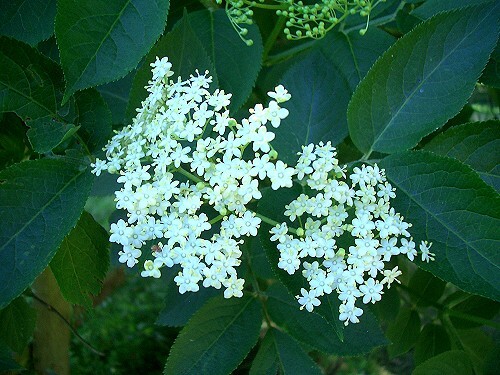 Common Elder is a deciduous tree or shrub. 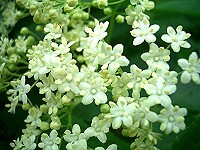 It bears large flat heads of cream/white flowers in June which are followed by tiny black berries - used to make elderberry wine. The leaves are pinnate and slightly serrated. 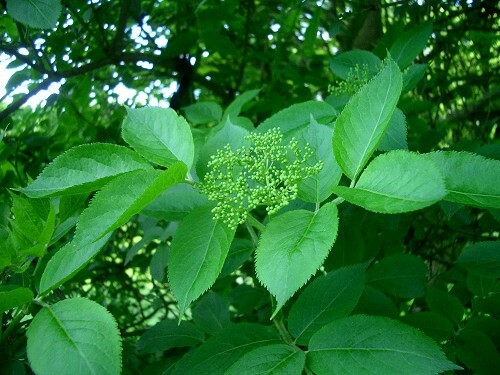 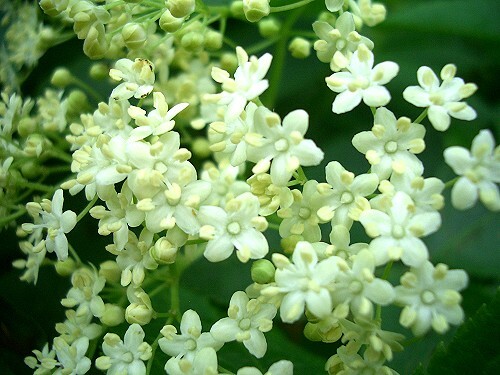 Elder is commonly used in herbal medicine. An infusion made from the flowers is used for respiratory problems. 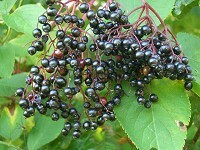 The juice from the berries is used to treat headaches and the leaves can be used to treat wounds.